led to the Body of Christ. The Lord will open your eyes to the Truth in His Word. Thank the Lord for all that He has provided you with. Keep our family together and living by His Word. Why have a Prayer Calendar? Prayer changes individuals, groups and situations. To invoke God's power into our individual lives and into the life of our Church! have the answers, but He does. If you need wisdom—if you want to know what God wants you to do—ask him, and he will gladly tell you. He will not resent your asking. 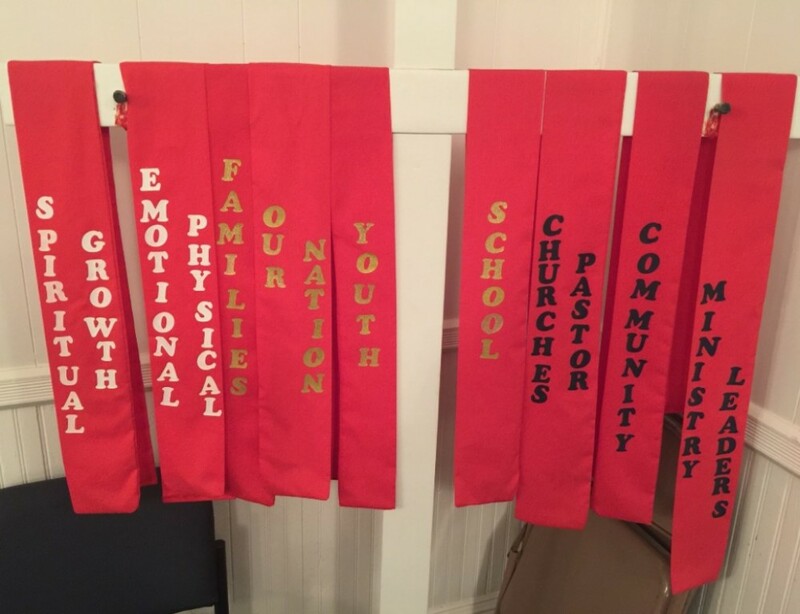 Pray for our building committee and our upcoming building project, as well as, all the topics found on the picture taken from the ribbons on the cross in the sanctuary next to the Deacon's corner. You may also pray for any other Church-related item(s) or issue(s) that you desire. How, when and where should I pray? You may pray by yourself or with a group that you select. You may pray once or as often as you would like throughout the day that you selected. You may pray wherever you desire. A blank calendar has been placed on the white bulletin board in the Fellowship Hall. Select only one day that you would like to pray, by writing your name in the box. Do not choose a date with someone's name already in it. Lastly, just Pray on the day that you selected. You may also pray on other days just do not write your name on the calendar unless there are blank boxes for that month.